100% of your donations are used to upgrade and maintain the forums and chat server. - Include your forum email or account in the donation message. - If you haven't recieved your forum rank yet, send us a PM reminding us to check for you. Include your email. - Tell us why you're donating. 10$ - "+1 Donor" forum rank. 25$ - "+2 Donor" forum rank. 50$ - "+3 Donor" forum rank. 99$ - "+4 Donor" forum rank. 1000$ - If you ever come to Connecticut or New York, I will bake you a f@$king cake. For every 4$ donated, you can reserve a private channel for you and you friends on our mumble server for 1 month. Compared to renting it on your own, Mumble would charge you about 6$/mo. If you donate multiple times, do your ranks accumulate? reeeed where's my supportologist stuff!!!! We needed yesterday to push out a lot of stuff, we'll be putting in the titles by the end of today or tomorrow afternoon. Are there other incentives for donating? Such as color on you name on the forum or in the game, a list of donators somewhere in AoS? Donation archives have been updated and ranks are up! If you are a donor, send me a PM with your email to get added to the list. It is worth noting that updating your donor status will be far easier on our new interface. Supported! gonna catch up to Fumble's star sometime. 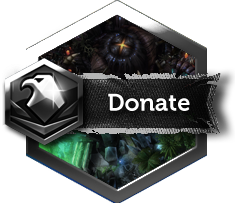 We'll be adding more donation sigils at a later date. Keep up the good work guys. 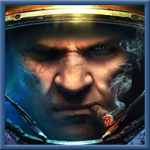 Just donated :-), had more fun with this map mod than Blizzards actual SC2 campaigns..
Good luck developing this shapty game. I KID I KID. I DONATE NOW. If you want donate - donate now, if you don't want - don't donate. Noone will do any your ambition. You DONATE not PAY for skin/colored name/+starting money/etc. While that is true, it would be nice to get a nice little skin/aura/something that looks good in game, but has zero effect on the gameplay. how u can get honorred dropper? No way, you can't. Maybe you can brake down B-net serveses to get lags in aos and bring back droppers again!!! We can't sell in game content. It will get the map suspended.